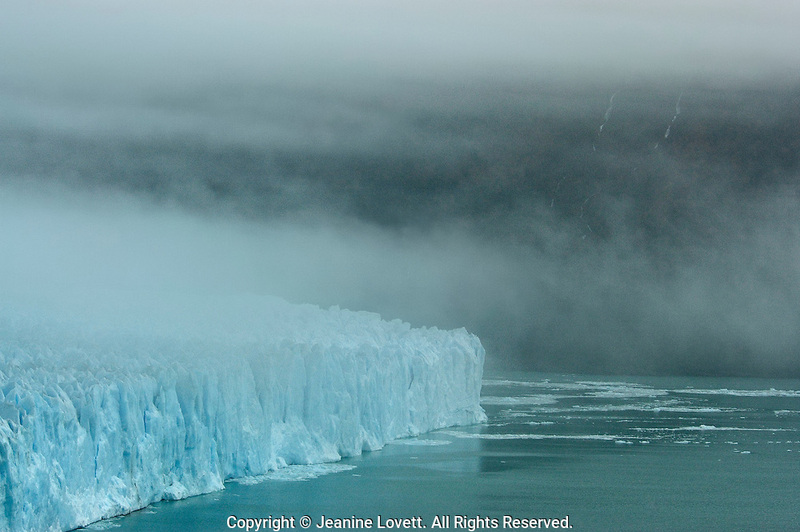 Rain and low clouds and fog make a mysterious view of los glaciares national park. Its name refers to the giant ice cap in the Andes range that feeds 47 large glaciers, of which only 13 flow towards the Atlantic Ocean. The ice cap is the largest outside of Antarctica and Greenland.